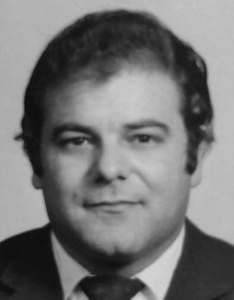 Nicola Ruffini, 75, devoted husband of Felicia (Sanelli) Ruffini for 47 years, passed away peacefully, surrounded by his family, on Friday, Sept. 7, 2018. Born in Italy on May 6, 1943, he was one of two sons of the late Giuseppe and Rose (Marinelli) Ruffini. He met the love of his life, Felicia, while working in London, settling in Plainville shortly after their marriage in 1971, where they raised their two children and later became the proud Nonna and Nonno to six grandchildren. Nick was a self-made and self-taught entrepreneur from a young age, continually on the search for business ventures and finding ways to provide for his family. He grew a small produce stand out of his garage in Plainville into a successful family-run tomato distribution and packing business, Northeast Produce. While providing wine grapes to most of Hartford County for over 40 years, his efforts laid the foundation for Northeast Winemaking. He was mechanically inclined and quickly became the go-to car guy among his neighbors and friends who were in need of vehicle repairs. He was self-sufficient, independent and always did things his own way; just as in one of his favorite Frank Sinatra songs, “My Way.” In his later years, he could be found on his patio or front porch, listening to Italian music, smoking his cigarettes and always taking time to smell the roses. He made many sacrifices in his life for the sake of his family and friends. Remembered for his generosity and charismatic personality, Nick’s family will forever miss him and be reminded of his drive and determination as they carry on his legacy of achievements. He touched many lives throughout his life and gained the respect of everyone he met. In addition to his devoted and unconditionally loving wife, Felicia, he leaves his son, Joseph Ruffini and his wife, Jessica; his daughter, Lisa Melninkaitis and her husband, Michael; his adored grandchildren, Isabella, Liliana, Nicholas, Christiana, Michael and Antonio; his brother, Alberto and sister-in-law Marianna; and many nieces, nephews and extended family in Italy and England. Funeral services in celebration of Nick’s life will be on Thursday at 9 a.m. at Plainville Funeral Home, 81 Broad St., Plainville, with a Mass of Christian Burial at 10 a.m. at Our Lady of Mercy Church. Entombment will follow at St. Mary Cemetery. Family and friends may gather on Wednesday from 4-7 p.m. at the funeral home. For online expressions of sympathy, please visit www.PLAINVILLE-FUNERALHOME.com . Posted in New Britain Herald, on Sunday, 9 September 2018 20:47. Updated: Sunday, 9 September 2018 20:50.